The expected in-stock date is Wednesday, May 22. This delicious, all-natural condiment is an updated twist on a classic. 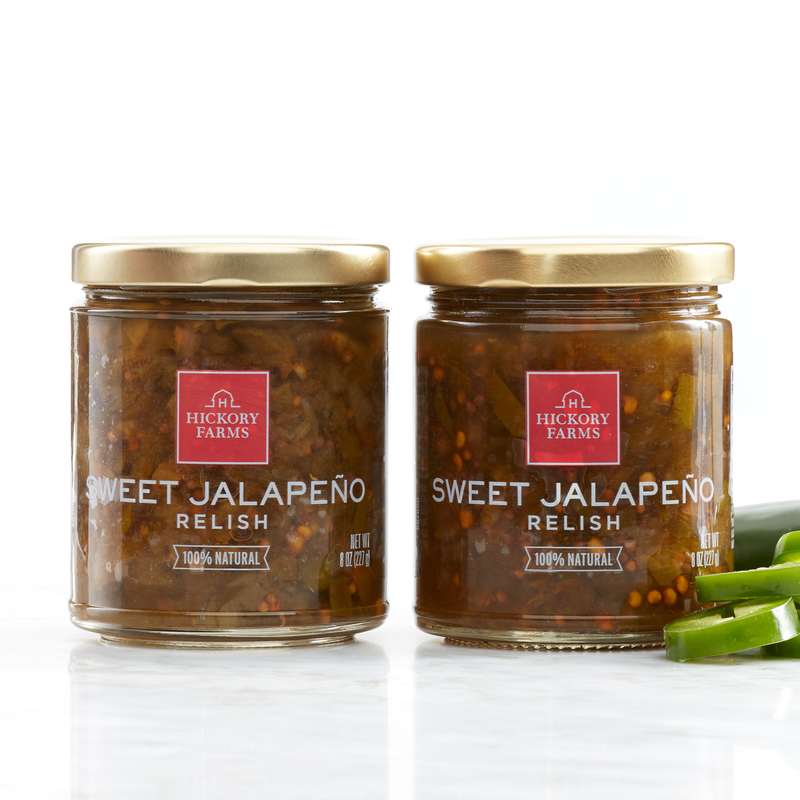 Sweet Jalapeño Relish is made with fresh jalapeños braised with turmeric and ginger, and has the right amount of sweet and spicy to keep you coming back for more. It's great on sandwiches, or for an added kick to your favorite Hickory Farms cheese and sausage pairing.